1) Update the old, paid, brown FretBoard to version 2.0. If you do not have it installed on your device anymore, please download it from the AppStore. Launch this app. It will then prompt you to download the new version. 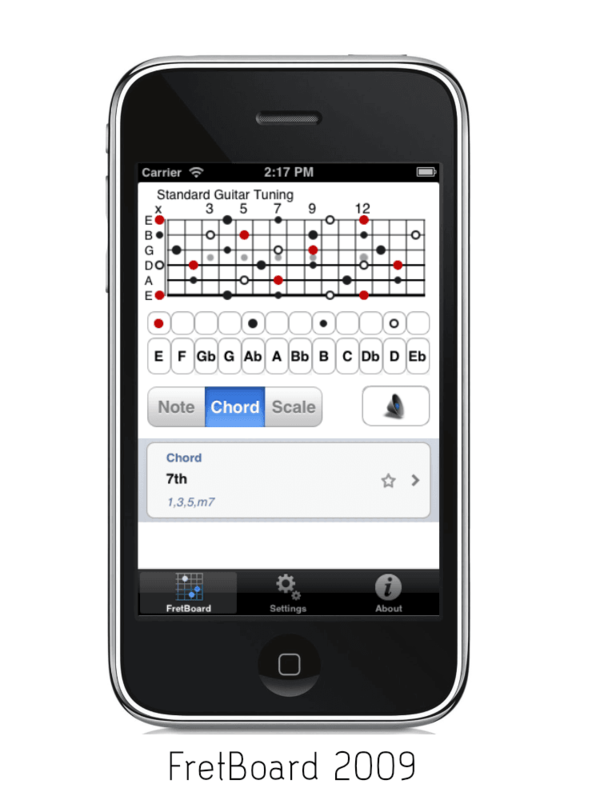 2) Download the new FretBoard (with the new icon) as advised. Launch this app. It will prompt you to purchase the Pro-Pack for free via in-app purchase. Yes, it is a purchase, but it is free. We need to do this, to save your purchase in the Apple keychain for the future. 3) Finally delete delete the old brown version from your devices. 4) We want to say sorry for the above procedure, but it was the only way to migrate your payment of the old version to the new code. Thank you for supporting FretBoard with your purchase. We love you. 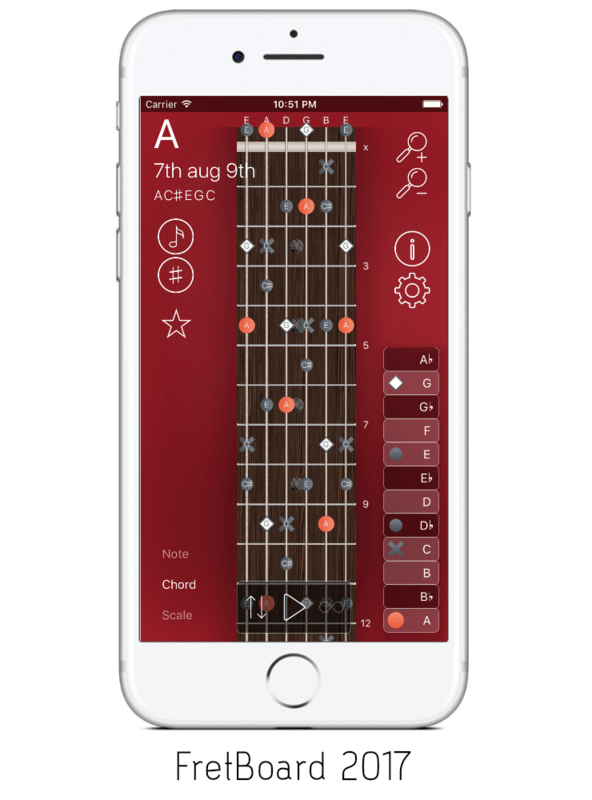 FretBoard is a reference tool – running on Apples iPhone™ and iPod Touch® – for players of the stringed instruments supporting Guitar, Banjo, Bouzouki, Bass (4, 5 and 6 string), Dobro, Charango, Lap Steel and Pedal Steel, Mandolin, Violin, Viola, Cello, Lute, Viola da gamba, Ukulele, Dulcimer, all Chapman Sticks, all guitars and bass guitars tuned and set up for two-handed tapping, alternative guitar tunings and many other instruments. 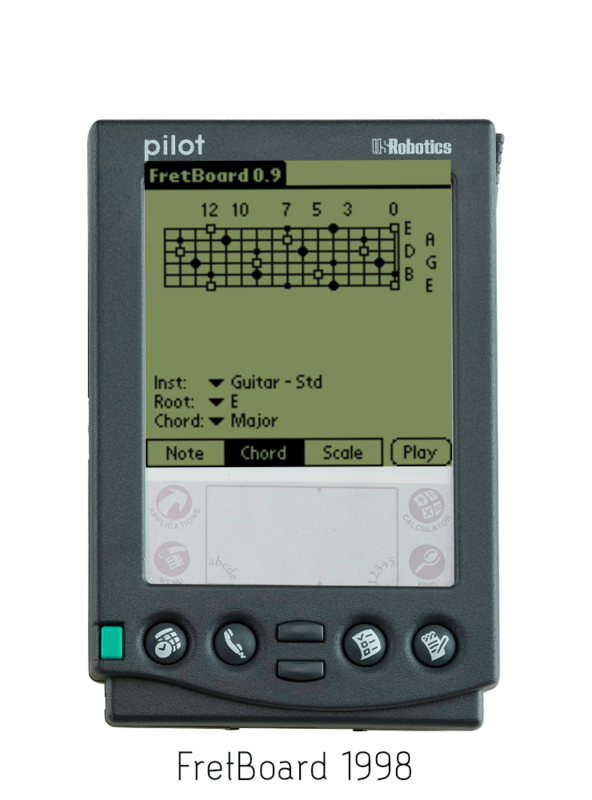 Currently FretBoard holds a collection of more than 140 instrument tunings in 15 instrument groups. FretBoard has an immense amount of music theory packed in a simple and intuitive interface guaranteeing fast access and easy understanding. We will inform you about the milestones we reach, new features, beta releases, and whatever may be interesting for you. For latest news and information please join our Facebook page.